I DESIGN JOYFUL EXPERIENCES. Design is a way of life to me. My greatest successes in my 20 years as a global corporate business leader and more recently as an entrepreneur in Design are inextricably linked to creating exceptional human experiences. Design began early for me - first creating a floor plan for my bedroom at age 6 and then sketching memorable places in my travels. I have always been a global explorer, having traveled to over 20 countries before turning 18. My adult life would add another 15 countries to my repertoire. Travel expanded my appreciation of luxury, artisan crafted goods, architecture and design. More importantly, what remains clear in all my travels is not so much the trinket or souvenir but the human experience. The human experience is what we all remember and reflect upon when vacationing at a new hotel, our restaurant dining experience that we post on social media, it's what we talk about on the drive home after visiting with family or friends; Our connection to each other. 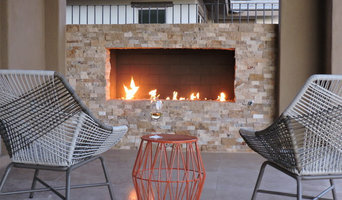 This is what I create, a lasting joyful experience through design of your spaces. I've always enjoyed innovating and inventing; this is the process that enables me to create a joyful human experience. I've been fortunate to be really good at it too! 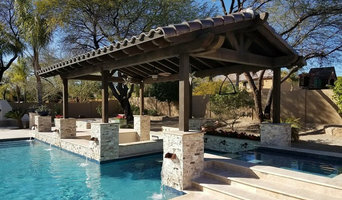 Whether it is remodeling a forever home for a retired couple, a modern desert landscape oasis in the Arizona foothills, a beautiful and inviting Airbnb, or recently, creating unique luxury bed linens for our four legged family members, you can be sure to love your new space because it reflects the very best of you! So when asked what I do for a living, what I do for life? I am a designer of joyful experiences. What a fabulous job! I am looking forward to working with you.